According to the Cedar Creek Association, held at Cedar Creek Church on October 16, 1872, a “newly constituted church in Bladen County” was represented at that meeting by Mr. Willis Allen. That was Mount Olif Church. The associational minutes also state that it “is a newly organized church and is growing.” Elder F.A. Prevatte was the pastor. In the Bladen County Registry, Deed Book 6, page 252, there is recorded a deed from James Burney to Mount Olif Church. It states that “it shall be used for nothing but a place of christian worship as a Baptist Church.” This church was “located about one mile north of Nathan Bryan’s Mill in an old field, near the Boggy Branch”. Only the house was given for the use and benefit of the members of Mount Olif Church “so long as it is a place of a religious society, it can, if they see fit, to have Sunday School there.” The deed was witnessed by D.M. Singletary, Willis Allen, and J.B. Allen. Just how long this site of the Mount Olif church was used is not known. Hickory Grove Baptist Church assisted this church spiritually and financially. The next site was at the end of the street or the fork of the road about three hundred yards west of the site of the present Love Grove Church. How long the church met at this site is also unknown. In 1895, Mrs. Emma Love deeded to D.M. Singletary, Trustee of Love Grove Baptist Church, one-half acre of land to be used for a church site. It was to be used only for a church and not to be used for school purposes or any of the land for burial purposes. According to the Bladen Baptist Associational minutes a church was built on this site in 1917, constructed of wood. One-half acre of land for a burying ground was deeded by O.L. Smith and his wife, Lula J. Smith, in April, 1924. That land is part of the property of Tar Heel Baptist Church. That church later took the name of Tar Heel Missionary Baptist Church. The exact date of the name change is unknown. The congregation of Tar Heel Missionary Baptist Church was given land by the O.L. Smith family to construct a new church. The site was located on the Tar Heel Ferry Road on the south bank of the Cape Fear River. On April 8, 1957, the Trustees of Love Grove Baptist Church, the congregation that would continue on the previous site, deeded to the Trustees of Tar Heel Missionary Baptist Church, all the real estate (Tar Heel Ferry Road) owned by said church as successor in title to Love Grove Baptist Church. Ground-breaking ceremonies for an education building and temporary sanctuary were held on February 16, 1958. Dedication services were held on July 16, 1958. The present sanctuary was built, and dedication services were held on the third Sunday in June of 1967. Additional land was given by the Smith family for the construction of a parsonage. To accommodate the growth experienced by Tar Heel Missionary Baptist Church, a new Fellowship/Education Building was built. Dedication services for this building were held in January, 1990. The note on the two story structure was burned at Homecoming Services on November 3, 1991. 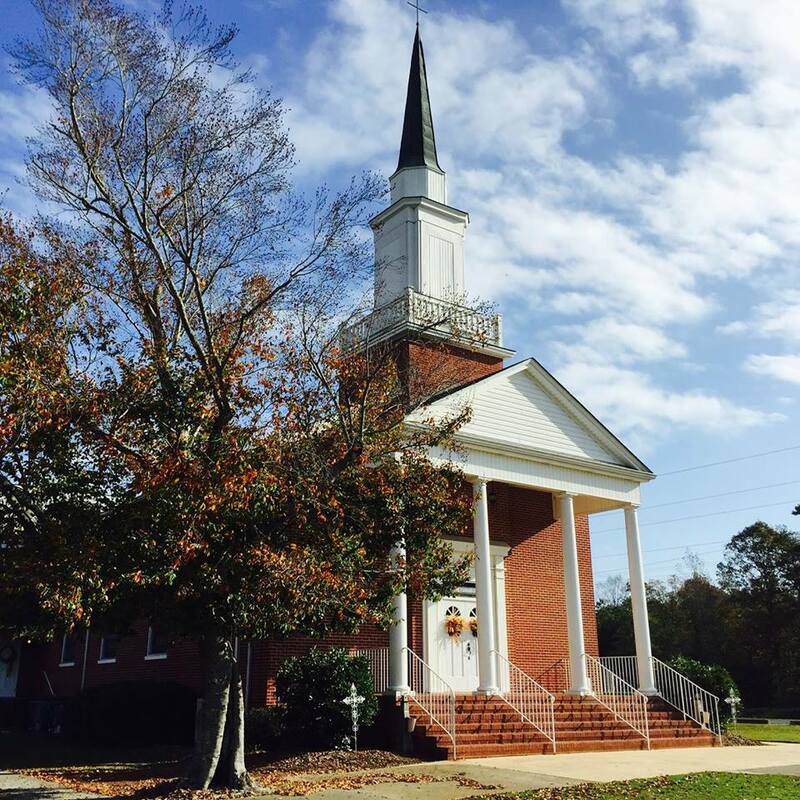 On January 16, 1991 the church was incorporated as Tar Heel Baptist Church. A complete list of those who have been pastors of this church is not available. However, those known to have served are F.A. Prevatte, Elias Johnson, R.L. Byrd, R.A. Hedgepeth, W.O. Biggs, W.D. Pridgen, Curtis Brisson, C.R. Hinton, E.H. Canady, N.B. Edge, George W. Wallace, Wilbur Edwards, D.M. Clemmons, Joe R. Burns, J. Wade Fowler, Oren Honeycutt, Harry Brisson, James C. Ray, Mike Oliver (first full time pastor), Russell Walker, Homer Murdock Jr., J. Darryll Hester, Mark Smith, Tom Willoughby, Warren Hill, John Rollyson, Matthew Winters, and Devon Varnam. The church is a living tribute and a lasting memorial to those who nobly began the church in the Tar Heel community to spread the Gospel of Jesus Christ.